“From your place your people/organization draft a memorandum on your people’s situation and send it on September 13th 2010 to your Government with the urgent appeal for the (further) endorsement and speedy implementation of the Declaration on the Rights of Indigenous Peoples. 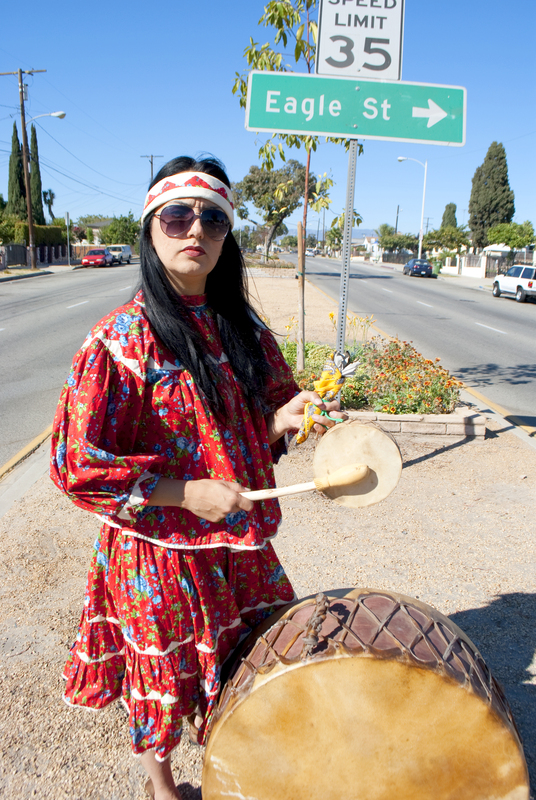 Simultaneously on September 13, 2010, from your own ancestral ground you organize a drum ceremony (or any other traditional instrument (like the sea shell) expressing the sound of Indigenous Peoples voices. 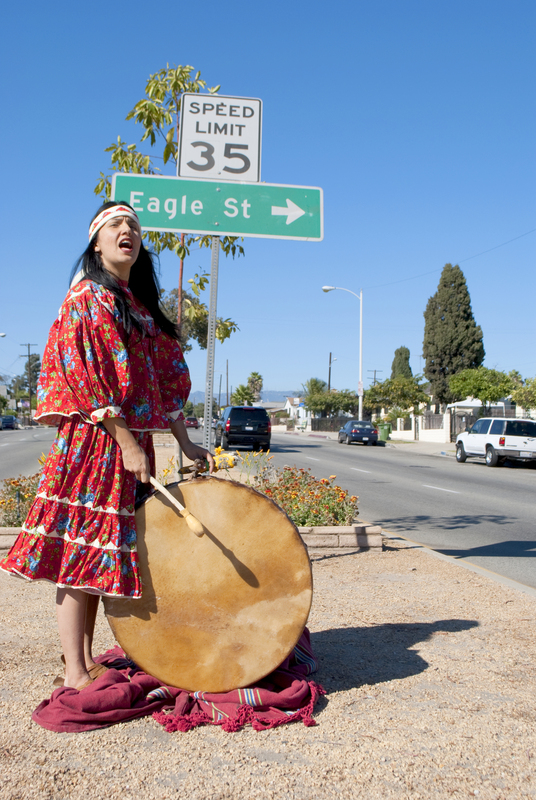 I received this call, went out to drum in my community of East Los Angeles and sent the above photo in.